Note in the parish register: 'The Jubilee. On the 25th October 1809, the entrance of King George the Third on the fiftieth year of his reign was celebrated with every demonstration of joy, and all the Poor residing in the Parish were treated with a very ample supply of Beef, Bread & Beer & Cyder, purchased with a Subscription of One Hundred and fifty Pounds 18s. In 1838 all the different political factions in Ashburton were planning to come together to celebrate the coronation of Queen Victoria. 1,800 poor people were to have 'hot roast beef, plumb puddings, penny loaves and strong beer', and the main inns were providing dinners. In the evening there was to be a ball, and the spectacle of seeing a balloon and fireworks. In May 1843 the Reformers of Ashburton held a dinner, organized my Messrs Tozer, French and Caunter, and held on Henry Gerivs's property. A 30 foot tall 'Gothic Hall' was erected in the garden, 70 feet by 28 feet. It included windows glazed with transparencies of various arms: The Town Arms, two MPs' Arms, The Woolcombers' Arms, The Royal Arms and the Prince of Wales' Plume. The roof and the interior were covered with evergreens, and decorated with serge hangings. There was a dais at one end and a minstrels' gallery at the other. The next day £100 was distributed to the poor. Prince Albert arrived in Ashburton in July 1852, on his way to Dartmoor. Hearing about the proposed visit, the townspeople hoisted flags and rang the church bells, and the town band assembled. 'Rural amusements' took place during the day, and the Portreeve presented the Prince with an address. The Prince's carriage stopped at Bates' Golden Lion for about 10 minutes. Church bells at daybreak signalled the start of celebrations for the marriage of the Prince of Wales to Princess Alexandra of Denmark in 1863. 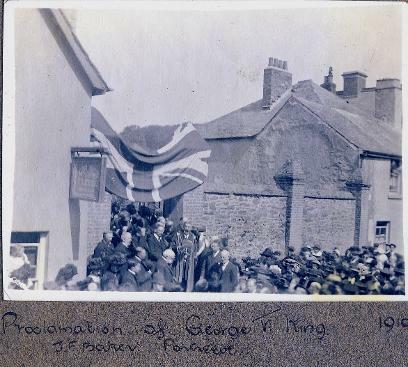 At 11 o'clock a procession set out from the top of East Street, which included a military band, the 9th Devon Rifle Volunteers, a banner with the Arms of the Borough, the Portreeve on horseback, the clergy in their gowns, trades with banners and emblems, the band of the South Devon Potteries, car of plenty, drawn by four horses, etc. etc. 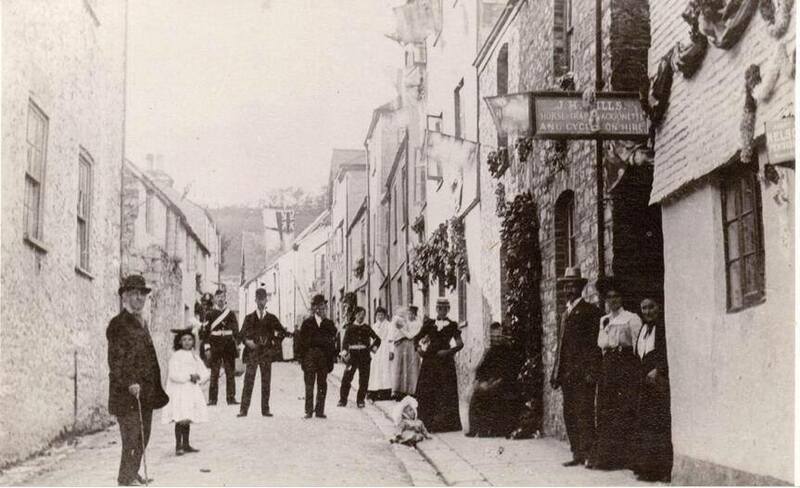 The poor later had a dinner, and 'rural sports' were held in North Street. A ball was held in the market hall in the evening, and several townspeople lit up their houses. For more details on the Volunteers' contribution to the day, see The Rifle Volunteers - 1860s. 1887. Queen Victoria's Golden Jubilee in 1887 was enthusiastically commemorated, beginning with the church bells pealing from 7 a.m. Thanksgiving services were held, and there was a procession at 12.30 p.m. The day included feasting and sports. The Hon R Dawson of Holne Park supplied numerous trees which were planted in all the principal streets, and Messrs Berry lent copious quantities of serge in blue, white and scarlet, which was draped over the towers of St Lawrence and St Andrew's, the Bull Ring, and various private homes. The Cottage Hospital was decorated, as were many businesses. The Queen's Diamond Jubilee was celebrated ten years later. 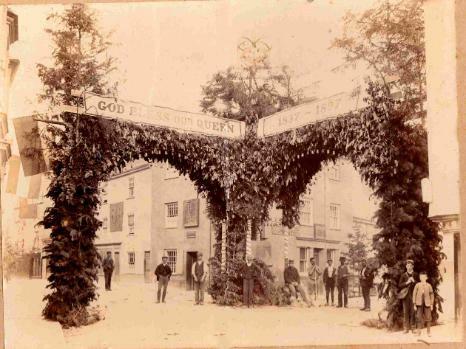 Queen Victoria celebrated her Diamond Jubilee in June 1897 - the people of Ashburton erected this giant strucure at the Bullring to commemorate the event. The banner reads "God bless our Queen 1837 -1897. In the doorway is J H Wills and his wife Susan (nee Eales) and possibly Sarah Eales (nee Head) and George Eales (with cane), the parents of Susan. Information from Sheila Lafleur, who also believes it to be from the time of the Diamond Jubilee, ie 1897. Queen Victoria died in 1901, and preparations were made for the coronation of her son, Edward VII, on June 26th 1902. However, by June 24th the King needed urgent surgery for perityphlitis, and the coronation was postponed. In Ashburton the Coronation Committee met, and decided to abandon all their plans for the 26th, and to dispose of all perishables procured for the occasion. 1903 Hundreds of people gathered in North Street and West Street to watch the Prince and Princess of Wales pass slowly through the town. 'The party graciously acknowledged the greetings bestowed'. Right: The proclamation of George V as king, 1910. St Lawrence Lane, outside the Chapel (the Grammar School). The Golden Fleece is on the extreme left. Many thanks to Lerida Arnold for the above photograph.